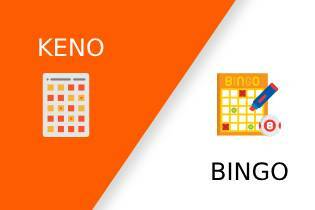 Keno vs Bingo; What's the Difference? Keno and Bingo are among the most popular casino games in the world. Chances are that you have come across one while playing the other or have seen dedicated sections to Keno and Bingo at casinos. On the surface, these games may appear to be similar to each other. They are both number based games where a random draw occurs and the players have to match those numbers on their tickets to win. Neither of these games has any complex rules to memorize and are geared towards newbies. They are also both played in a relatively non-competitive atmosphere with the social aspect of playing the game together as important as winning. A little look deeper into these games, however, shows that they are very different from each other. Keno is a much older game than Bingo and is believed to have first been played 3,000 years ago during the Han Dynasty in China. Evidently, the purpose of the game was to raise funds for war efforts without increasing the tax on the people. The numbers were flown across the country using white birds, and so it also came to be known as the ‘white pigeon game’. Bingo is a relatively newer game that was first played in Italy during the 16th century. Devised originally as a lottery style game, the Bingo national lottery continues to this day in Italy and is drawn every Saturday. This is one of the biggest differences between keno and bingo. In Keno, players have an option of choosing up to twenty numbers from the available selection. The players can place different bets on those numbers, vary the amounts between different numbers, and divide the chosen numbers into sets if they so like. In Bingo, there is no concept of placing bets, as such. The players are required to pay a flat upfront payment for the card or the ticket on which a random set of numbers is present. Players can increase the numbers of cards that they purchase to try and get the odds in their favor or play in rooms with different upfront values but that’s about it. You cannot choose individual numbers or bet on the likelihood of them being called out. In this sense, Keno is much more like a lottery than Bingo. Bingo cards are also usually valid for a single game while the numbers chosen in Keno can be played for multiple games. The cost of the Keno card depends upon the number of ‘draws’ and so can vary from each other. The cost of a bingo card remains the same for each and every player. Both Keno and Bingo draw up numbers using a machine which spits out random numbers. Players then have to match these numbers on their respective cards to try and get a win. Once again, the similarities end here. In Keno, there are 20 numbers that are called out in every game. Players win depending on the numbers they have matched. Usually, getting 15 numbers called out is enough for a jackpot. There are several smaller prizes that are available for matching fewer numbers although this varies considerably depending on which casino you are playing this game at. There are pre-specified prizes for Bingo. The standard prize is for ticking all your numbers on the ticket or getting a ‘full house’. There are many different variations, however, like prized for a top line, center line, bottom line, diagonals, corners, and more. Also, Keno can have multiple winners since people are choosing their own numbers but standard Bingo is limited to the first person to cross out the numbers on the card. As mentioned earlier, there are no ‘bets’ that are placed during Bingo. The cost of purchasing the Bingo card is the bet as it were. This makes for a more relaxed game than Keno because the numbers on the card are what they are. There is no selection of number as seen in Keno. There are two common types of bets that can be placed on Keno. The first is a straight bet. 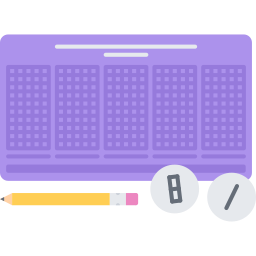 Here, a minimum amount of money must be placed during each round after picking the numbers. The return depends on the numbers that are drawn up. The minim and maximum amount of money that can be wagered differ wildly from casino to casino, of course. The second method of betting on Keno is by way bets. Here the player chooses sets of numbers from the total 20 chosen and places bets on those. This way, there is a chance of winning even if just the numbers in the chosen set are called out and not more among the originally chosen 20. There is a big difference between the pace at which Keno and Bingo are played. If you are someone who likes a fast paced game then Keno is definitely the way to go. There is no waiting for others to tick off their numbers or to wait for someone to call them out. The actual act of choosing the initial set of numbers also makes for a higher energy atmosphere. Bingo, on the other hand, is more laid back and relaxed. There is no choosing the numbers, no placing actual bets, and nothing to do except for wait for the numbers to be called out and tick them off as they match on the card. Different people prefer different things and we are not here to say which one is better. The jackpot opportunities offered up by Keno are much bigger on average than what we see at Bingo. It is not uncommon for players to end up winning millions in one game of Keno by hitting the jackpot. Bingo usually has a lower barrier of entry and a similarly proportional payout. 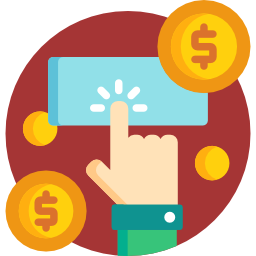 In games where the initial purchase of the card is high or the number of players is very large, the payout can go pretty high as well but the chances of hitting a gigantic bonus remain slim. If you are playing a game with money then eventually you hope to win something. This is why considering the odds of winning is very important. The odds of winning are very different when it comes to Keno and Bingo. Statistically, the odds of hitting 20 numbers on a 20 spot ticket in Keno are close to 1 in 3.5 quintillions. That’s right. Next to impossible. This is why Keno games don’t require you to hit 20 on 20 to win some cash. Most casinos offer the jackpot on hitting 17 out of 20 numbers and then decreasing prizes for the lesser numbers. A prize for not getting any of the 20 numbers chosen is also a popular one. 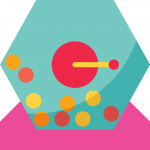 The house edge for Keno can be close to 20 to 50% in real-world casinos and 5 to 16% at online casinos. This makes Keno one of the worst games for a popular, purely from a long term winning strategy point of view. That does not stop the game from being incredibly popular, though. In Bingo, the odds of winning are calculated on two factors. The first is the number of bingo cards in play and the other is the number of balls drawn. Statistically, each number has an equal chance of being drawn and so every card has an equal chance of winning. There are also different versions of Bingo that are popular. 75 ball Bingo, 80 ball Bingo, or 90 ball Bingo are the most popular versions of Bingo played around the world. Gambling regulations mean that the odds of winning at bingo will always better than that at Keno. Both Keno and Bingo remain incredibly popular games around the world and a staple at most casinos. These games seem similar to each other fundamentally but are very different games. The strategies of playing keno and bingo differ, the aims of the game are different, and the payout can be very quite stark in contrast to each other as well. The pace at which these games are played out is also quite different from each other. This does not make any one of these games good or bad. It just makes them different to each other which is what players need to know before playing them. Both the games have very easy rules, extremely fun, and can be played by players who have next to no gambling skills. There are both essentially games of chance but with pretty different odds of winning! The chance of winning a life-changing amount of money is a big draw in Keno. Players could walk away with a massive amount of money if they are having an incredibly lucky day. The end result of choosing which game to play comes down to personal preference.